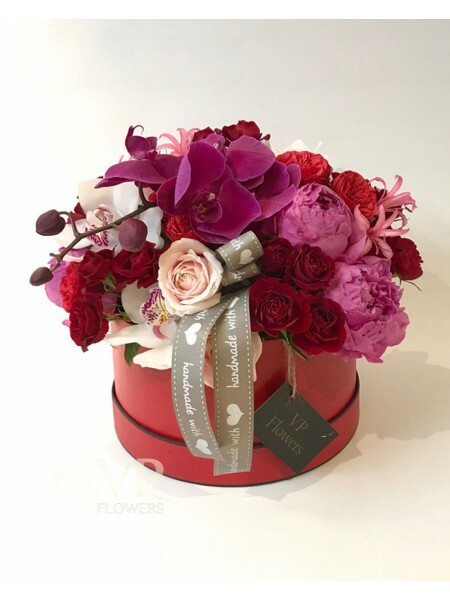 Hot pink foam peonies and Pink Phalaenopsis beautifully arranged in luxury hat box. Created by one of VP Flowers talented head florists. Please note: with all natural products, there may be slight variances in. If you have specific requirements for your bouquet, please call us to let us know.